Located in what can only be described as a shed (spacious, light and furnished, but definitely a shed), Petersham Nurseries is the sort of restaurant where you'll see the chef popping out of the kitchen to pick herbs from the garden, and where homemade lemonade sits above the Pinot Noir on the drinks list. And it's absolutely perfect, especially in summer, when you can sit in the garden. Superb meat and glowingly fresh vegetables peep from beneath mountains of herbs. Of course, all this rustic simplicity doesn't come cheap. Dirt floors, rickety furniture and food bought directly from tiny organic farms all over Europe are ferociously chic and prices are high for a restaurant that is such a long way from anywhere. Still, if you'd prefer a relaxed meal in a lovely location to an army of uniformed staff, then this is the place to go. As a lighter alternative, you can always settled for a cup of tea (from exotic flower teas to the traditional English Breakfast) and a nice slice of cake in the Teahouse. 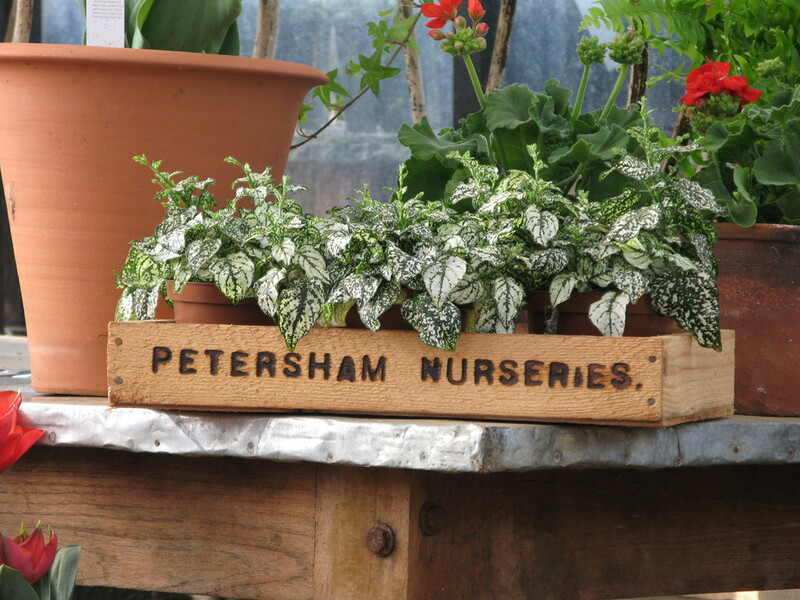 Petersham Nurseries Cafe and Teahouse gyms, sporting activities, health & beauty and fitness. The best pubs near London Petersham Nurseries Cafe and Teahouse. Petersham Nurseries Cafe and Teahouse clubs, bars, cabaret nights, casinos and interesting nightlife. Where to have your meeting, conference, exhibition, private dining or training course near Petersham Nurseries Cafe and Teahouse. From cheap budget places to stay to luxury 5 star hotels see our special offers for Petersham Nurseries Cafe and Teahouse hotels, including Richmond Hill Hotel from 86% off.